Big Bear is located in San Bernardino County, in the beautiful San Bernardino Mountains and is Southern California's largest recreation lake (seven miles long and about one mile at its widest). 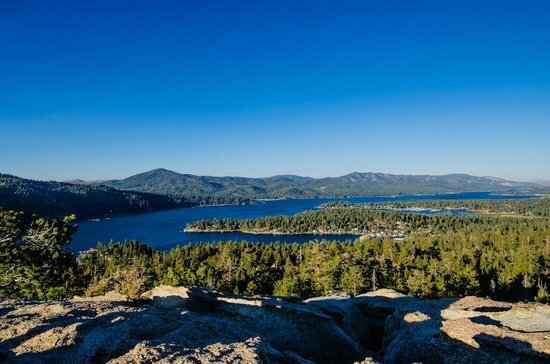 During the summer months, Big Bear offers boating, fishing, hiking, mountain biking and horse back riding. During winter season Big Bear Lake, becomes a skiing and snowboarding destination for Southern California and offers two ski resorts (Snow Summit and Bear Mountain). Big Bear offers many affordable options to those looking to purchase a vacation home, with many using popular vacation rental home sites like Air B&B, to supplement the cost of owning a vacation home. If you are thinking of Buying or Selling a home in Big Bear, please call Van Effner, Big Bear Expert with VanHutchHomes & Associates at 619-694-6147 today!